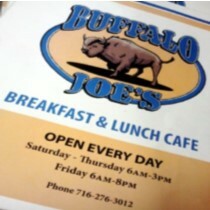 Buffalo Joe’s, serving honest food to honest folks. 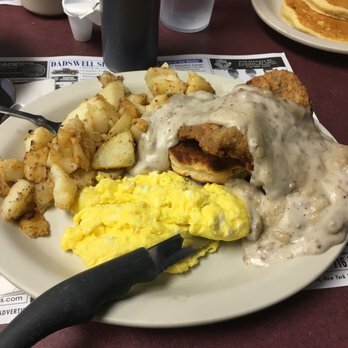 The owner is the cook, proud in dishing up hot breakfast and lunch plates to regulars and newcomers alike. 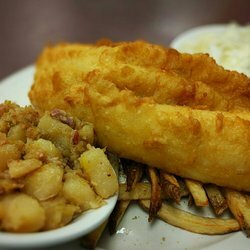 Serving Fish Frys every day of the week! Come by often enough and the friendly staff will remember your name. Not Valid on Fish Frys. Dine-in Only, not valid on take-out or delivery. Voucher cannot be used in conjunction with any other vouchers, coupon, special or promotion.